I smoked a stick that I won in the last troop auction from T.G. 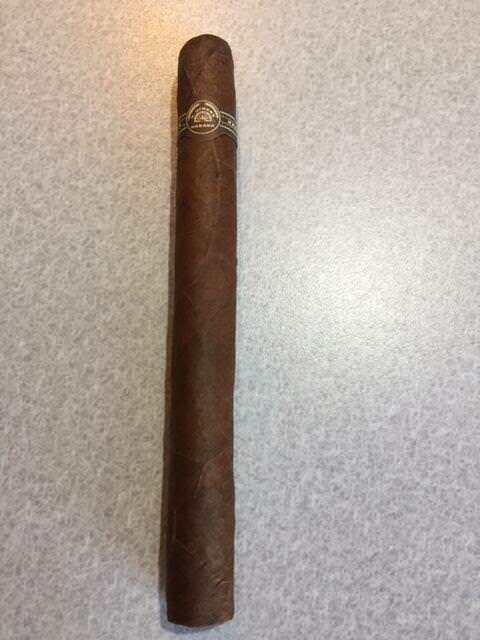 It is described as a private blend from Drew Estates rolled in 2010. Very tasty stick. Thanks Adam. I just finished another great cigar courtesy of Adam. I smoked a Liga Privada JD4. It was probably one of the best cigars I've smoked in 2017. I just finished off the last two smokes I got from Adam. A 2012 AF 858 SG and a private blend from Drew Estates. Both were great. Was gifted this fine cigar from Dave , Weelock. Amazing smoke DAve, this is a forsure box worthy smoke. ...Barrythevic! A Peruvian puro, the Inca Secret Blend Roca. Very interesting and pretty good...thank you, Barry! From afranco and this Cigar is awesome. Which one did you smoke? 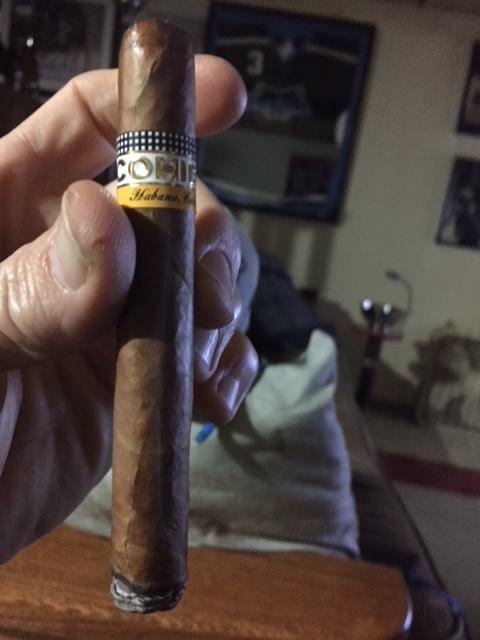 A nice Trini Reyes from GreekGodX - thanks Xtos! A very tasty Club Epi from Mark meeting up with him in Beaverton. A Sobremesa by Steve Saka, it was really good. Reminded me of my favorite Illusiones, right in that wheelhouse. Thank you, Bob! Last edited by icehog3; 02-22-2018 at 10:07 AM. .....SurpriseMVP! A wonderful 2012 BTO Cohiba Siglo II. Thank you, Mike! Location: Still in the trees, just different types. Ahhh, just when I was getting to like him or her, or whatever. Click his link. I may have adjusted it.